I read this article and found it very interesting, thought it might be something for you. The article is called Vancouver Courier Feature and is located at http://www.fiercegirls.tv/vancouver-courier-feature/. Like many web series created with kids in mind, Fierce Girls wants its young viewers to embrace their inner superheroes. 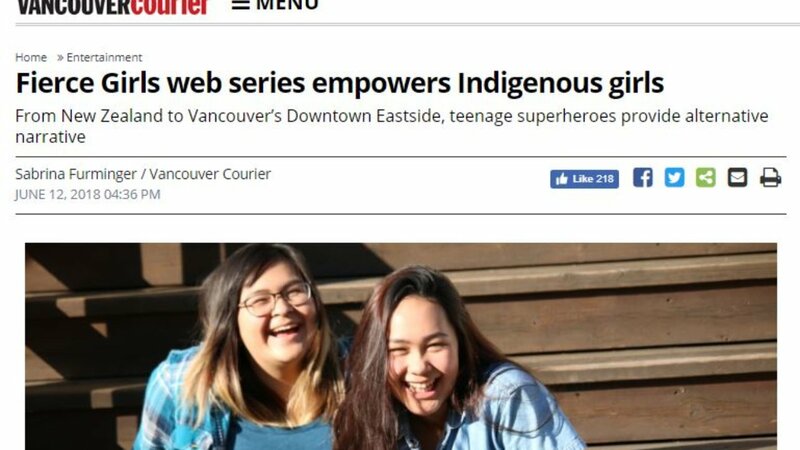 Unlike most series, however, it employees a distinctly Indigenous approach that runs counter to Hollywood ideas around superheroes, according to Fierce Girls’ lead producer and director, Loretta Todd. Read the full story on the Vancouver Courier website here….